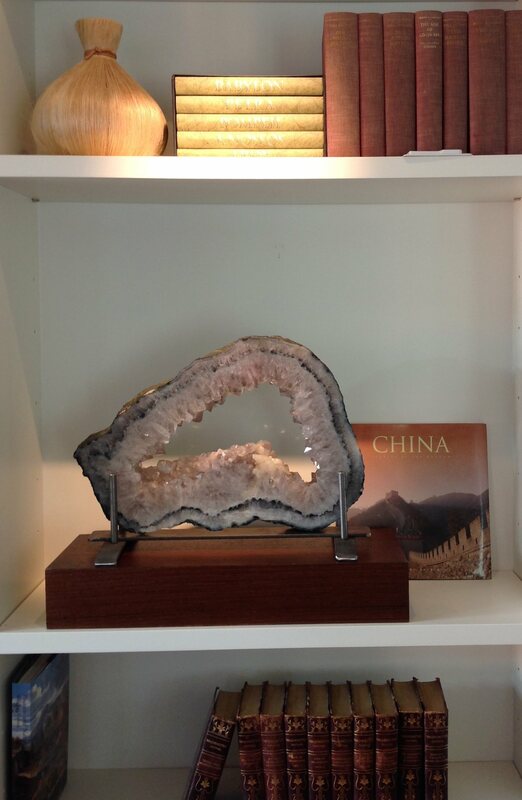 One of my favorite accessories to use in our interiors are minerals, I don't care if they are rare precious stones or just beautiful rocks, they make a statement and no two are alike. 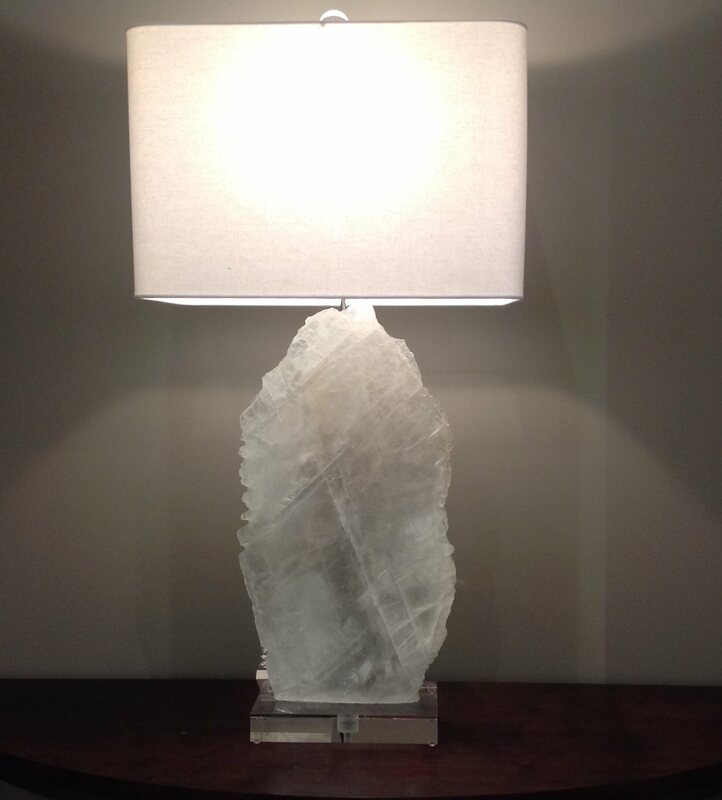 In this room we searched for the perfect lamp and decided to use this beautiful mineral, the stone just sits on a plexi base and can be removed, although I would never tire of this look. For this project in St Helena we found a beautiful cut slab of amethyst in a very pale color, the steel base was fabricated by Natural Edge furniture gallery. On our next trip to the Tucson mineral show I am looking for more of these slabs, they are amazing. In my home in Central Oregon one of my favorite things are these selenite logs, they seem to be a focal point were ever I use them. 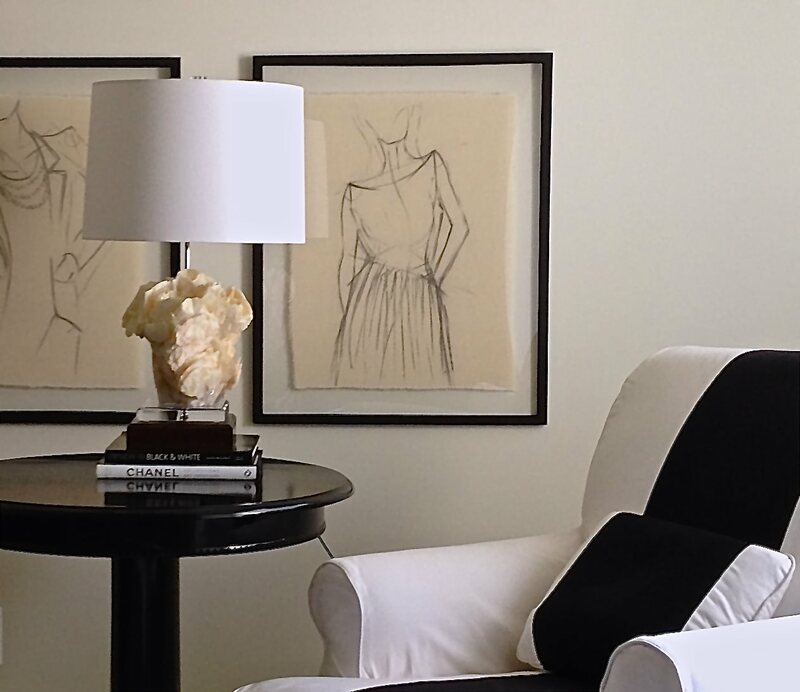 One of the least expensive things can become one of your most treasured possessions . . .